PDP is the shopping center under management of MBK Public Company Limited. PDP is the best speciality shopping center of Eastern Bangkok. It is located on Srinakarin road with 5 stories shopping center and consists of more than 500 shops under concept “THE OASIS OF EASTERN BANGKOK”. 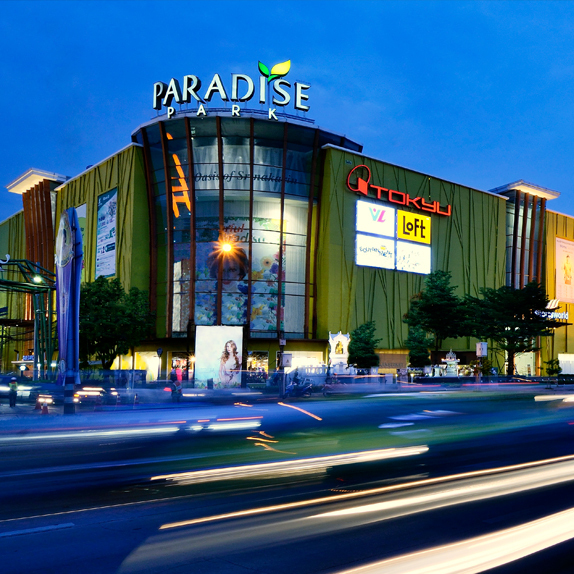 Paradise Park is a long-term and short-term lease shopping mall whose focus is on management to earn from renting out shopping area to entrepreneurs, earn from renting out space for billboards, earn from new product launch activities etc. Moreover because Paradise Park is a shopping mall which was renovated from formerly Seri Center, core management intent to let Paradise Park become continuously popular in a short time. In addition, that will have an effect on rental fee, which will increase in next term of contracts and to increase income in a long term.